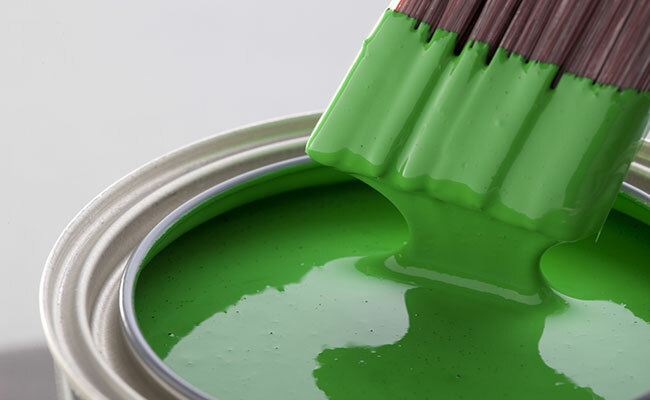 One of the first steps to any great remodel is putting a new coat of paint on everything. 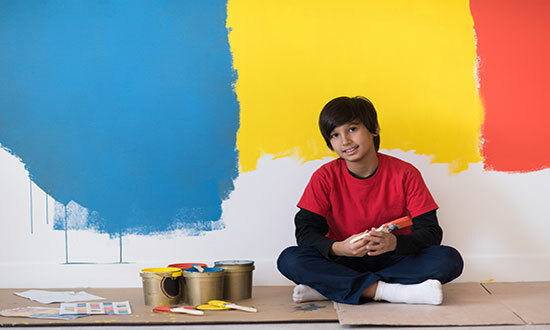 However, you don’t just want to slap any old paint color on your walls – you want to choose one that fits your tastes and the style of the room. 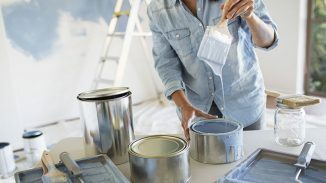 You’ll also need to use effective painting techniques when working on your home to ensure that the paint job will stay for years to come. Here are some of our best tips for painting in West Virginia that we’ve discovered over the years. 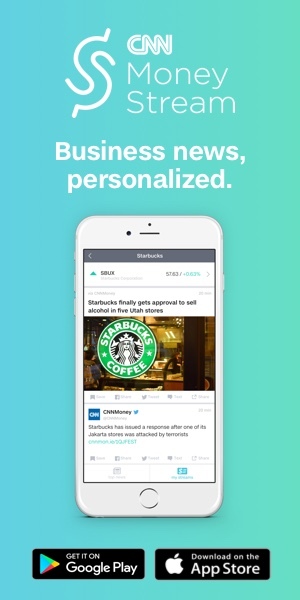 Test out the color before you buy it in large quantities. It’s important to be extremely sure of the color you want before making a big investment. Once you’ve examined your options and made a decision, buy a small amount and swatch it on a piece of foam board or other similar material. Wait a day or two to make sure you are completely committed to the color, and then go back and buy as much as you need. Clean your walls and ceilings before getting started. 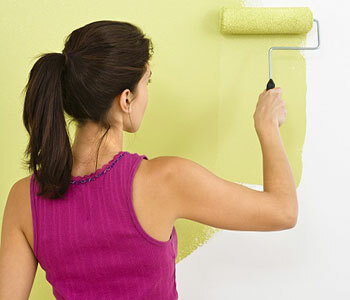 If you try to apply a new coat of paint to dirty walls, you likely won’t be happy with the finished product. 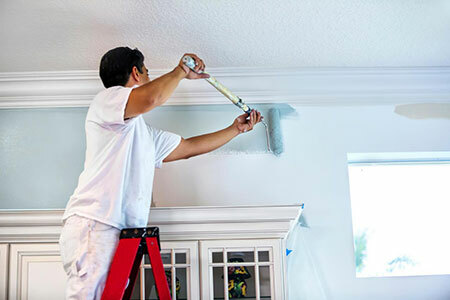 The paint won’t stick to the wall if there’s existing dirt or grime, so give your walls a thorough wash. Don’t neglect your ceilings either, even if you aren’t painting them. Dust, dirt, and cobwebs can accumulate up there and then affect your painting later on. Additionally, you’ll want to fill any holes in your walls with spackle, as paint adheres much more effectively to walls that are even. Mix together all the paint you have. When you buy multiple cans of the same shade, there’s a chance that there might be miniscule variations in color from can to can. 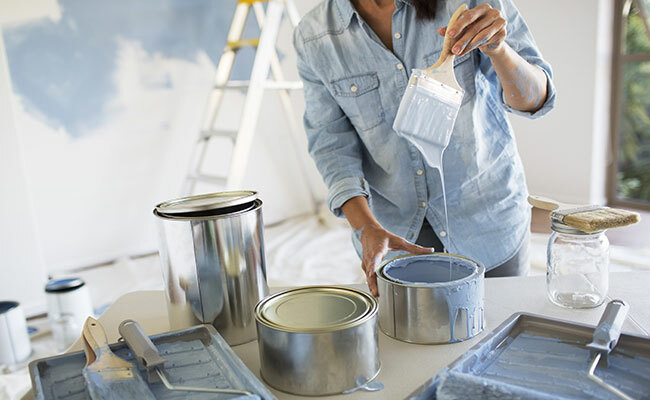 This can look very obvious when applied to your walls, but can be easily prevented by using a simple pro tip – mix together all the paint you’ll be using ahead of time. By mixing everything together, you’ll be absolutely sure that everything is the same shade. Give your paint adequate time to dry and set. 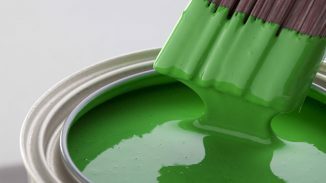 Even if your paint seems dry, you’ll want to give it time before starting to use the room as normal again. Give it one to two days before putting any furniture in the room, and wait about two weeks before touching or cleaning the wall just to make sure everything sets.